Though CRISPR/Cas9 has shown great potential for genetic modification in various therapies, deliverying the platform has been a key challenge to overcome. While French biotech start-up Eligo Bioscience looks into using ingestion of CRISPR-filled pills to deliver the treatment to the gut, researchers at the University of California, Berkeley recently published a study in Nature detailing how they delivered the gene-editing tools by covering gold nanoparticles with modified DNA that binds to donor DNA needed for homology-directed repair. The Cas9 protein and guide RNA of the CRISPR system in turn bind to that donor DNA. This method does not require the use of viral capsids to house the CRISPR components. 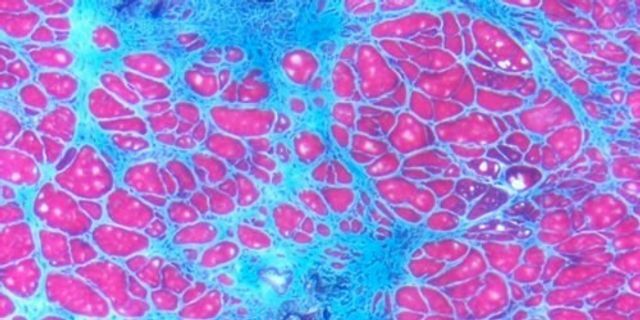 In vivo models of Duchenne muscular dystrophy showed an ability to restore dystrophin levels and improve muscle function. Though this is still in preclinical stages, it is exciting to see the wide application of new gene therapies, even in rare diseases. In a study published today (October 2) in Nature Biomedical Engineering, researchers have successfully repaired a mutation in the gene for dystrophin in a mouse model of Duchenne muscular dystrophy by injecting a vehicle they call CRISPR-Gold, which contains the Cas9 protein, guide RNA, and donor DNA, all wrapped around a tiny gold ball. The research team created CRISPR-Gold by covering a central gold nanoparticle with DNA that they modified so it would stick to the particle. This gold-conjugated DNA bound the donor DNA needed for HDR, which the Cas9 protein and guide RNA bound to in turn. They coated the entire complex with a polymer that seems to trigger endocytosis and then facilitate escape of the Cas9 protein, guide RNA, and template DNA from endosomes within cells.